The problem of the reconstruction of the course of life, deeds, and words of Jesus Christ is undoubtedly one of the most fascinating issues in modem biblical scholarship. In order to cope with this issue, scholars devised various reconstructive methods and procedures, which are usually presented today under the labels of several ‘quests for the historical Jesus’. In this way, notwithstanding all the differences between various scholarly proposals, a more or less coherent image of the historical Jesus as a particular Jewish religious and social ‘activist’, who lived in first-century Galilee, emerged and became more or less widely accepted in mainstream scholarship. However, all reconstructions of the deeds and words of the historical Jesus, which were presented at various stages of the ‘historical Jesus research’, were formulated on one fundamental assumption, namely that the Gospels more or less directly refer to the life of the historical Jesus. Even if numerous modem scholars regarded various parts of the Gospel material as most probably unhistorical, this basic assumption concerning the referential character of the Gospels was in fact never challenged. Consequently, scholars still generally believe that the Gospels in an at least fundamental way reflect the features of the life and person of the historical Jesus: his early activity in Galilee, his challenging interpretation of the Jewish law, his clashes with the Pharisees, his travel to Jerusalem, his conflict with the chief priests in the Holy City, etc. The most recent research on the hypertextual features of the Gospels has revealed that this basic scholarly assumption is not necessarily true. In general, it can be argued that the Gospels were not written with the aim of recording the course of life, deeds, and words of the historical, ‘fleshly’ Jesus. The Gospels are results of hypertextual reworking of the letters of Paul the Apostle and of other early Christian writings, which were regarded by the evangelists as the sources for the knowledge of the real, ‘spiritual’ Jesus Christ, who came to be known to the world in the course of life, in the person, and in the writings of his particularly chosen Apostle, and who still lives in his Church. The research on the historical Jesus ought to take this basic feature of the Gospels into serious consideration. Consequently, in order to deal with the issue of reconstructing the life of the historical Jesus in a truly scholarly way, the hypertextual features of the Gospels should be properly investigated. What Bartosz Adamczewski says there is all very fine as far as it goes but there is something vital missing. And it is that missing element that has opened up opportunities for some rather savage reviews of his work. Yes, it is fine to present the “case for” a proposition. But unless one addresses systematically the flaws in the existing or alternative viewpoint, especially if that alternative is the prevailing conventional wisdom, one is not likely to persuade anyone to jump ship, at least not with justifiable reason. Simply declaring the alternative to be resting ultimately upon unfounded assumptions won’t work any magic unless one accompanies that claim with clear demonstrations. That won’t persuade most to change their minds overnight; it will probably engender unscholarly responses. But it will at least leave material for other, most likely new, scholars to notice and work with into the future. Adamczewski, Bartosz. 2013. Hypertextuality and Historicity in the Gospels. Frankfurt am Main: Peter Lang GmbH, Internationaler Verlag der Wissenschaften. Tim O’Neill has given up much of his time to write a detailed post (over 8,700 words) as a guide for non-historians to find their way through the mass of nonsense on the web about Jesus never having existed. Do ancient historians rely upon late sources? One [commenter], “weylguy”, [wrote] “I stopped watching the video around the 3:00 mark, when the ‘historian’ claimed that the New Testament is “wonderful evidence.’” If “weylguy” had [listened] a few seconds more, he would have heard Marcus explain that the gospels are great evidence for what the communities of believers they were written for believed about Jesus, not [that] they were necessarily evidence about the historical figure of Jesus. I think Tim is being overly generous to Eddie here and that weylguy’s comment was not so far removed from Eddie’s meaning. Listen to the video around that 3 minute mark to check this out for yourself. Further, I know of no study of ancient history that does not stress the absolute importance of contemporary sources (not ones a generation or more later). Yes, many of our surviving historical documents are from much later times but the sources the historians rely upon are those in which they can find a reliance upon sources, usually identified and testable in some way, that do go back to the times being narrated. See, for example, Comparing Sources for Alexander and Jesus; also The evidence of ancient historians. This post continues my assessment of the claims made in a doctoral dissertation by Michael Zolondek (supervised by Larry Hurtado and Helen Bond of the University of Edinburgh) that Jesus scholars use the same methods as historians of other fields. The sorts of methods he is addressing are specifically the “criteria of authenticity”. Though challenged by some scholars today, many biblical scholars continue to defend them as tools by which they can sift historical core “facts” or “events” about Jesus from theological or mythical overlay in the gospels. One such criterion is “multiple attestation”: the criteria that if an event is found in multiple (independent) sources there is strong likelihood it is genuinely historical. Another is the criterion of “double dissimilarity”: this criterion states that if a saying has no parallel in either early church teaching or in ancient Judaism then it very likely originated with the historical Jesus himself. And so forth. On page 98 of the published version of the dissertation, We Have Found the Messiah: How the Disciples Help Us Answer the Davidic Question, Zolondek states that the examples found in a chapter by biblical scholar Stanley Porter of historians whose background is in ancient history are evidence that ancient historians do indeed use some of the same criteria of authenticity as historical Jesus scholars. Porter actually presented those particular examples of ancient historians to demonstrate that they do not use the biblical scholars’ tool of criteria of authenticity but Zolondek disagrees with Porter’s claims. Before I discuss those three examples and (unlike Zolondek) go beyond Porter’s article to the more detailed writings of those three ancient historians themselves I want to highlight another significant point made by Porter that is entirely overlooked by Zolondek. 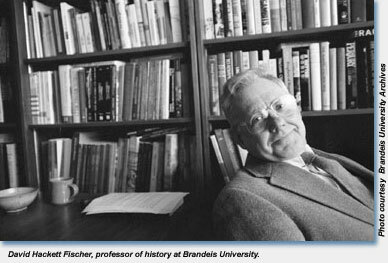 21 D. H. Fischer. Historians’ Fallacies: Toward a Logic of Historical Thought (New York: Harper, 1970). 23 Ibid., 172 – 175.
most historians agree . . .
it is the consensus of scholarly opinion that . . .
in the judgment of all serious students of this problem . . . The fallacy of the prevalent proof makes mass opinion into a method of verification. This practice has been discovered by cultural anthropologists among such tribes as the Kuba, for whom history was whatever the majority declared to be true. If some fearless fieldworker were to come among the methodological primitives who inhabit the history departments of the United States, he would find that similar customs sometimes prevail. There are at least a few historians who would make a seminar into a senate and resolve a professional problem by resorting to a vote. I witnessed one such occasion (circa 1962) as a student at the Johns Hopkins University. A scholar who was baffled by a knotty problem of fact literally called for a show of hands to settle the question. An alienated minority of callow youths in the back of the room raised both hands and carried the day, in defiance of logic, empiricism, and parliamentary procedure. A book much bigger than this one could be crowded with examples. A fact which every historian knows is not inherently more accurate than a fact which every schoolboy knows. Nevertheless, the fallacy of the prevalent proof commonly takes this form–deference to the historiographical majority. It rarely appears in the form of an explicit deference to popular opinion. But implicitly, popular opinion exerts its power too. A book much bigger than this one could be crowded with examples. One will suffice here, for the sake of illustration. Every schoolboy knows, and most schoolmasters, too, that Mussolini made the trains run on time. But did he? Ashley Montagu observes that “there was little or no truth in it: people who lived in Italy between the March on Rome (October 22, 1922) and the execution at Como (1945) will bear testimony to the fact that Italian railroads remained as insouciant as ever with regard to time-tables and actual schedules.” And yet, the myth still runs its rounds, with a regularity that Il Duce was unable to bring to his railroads. 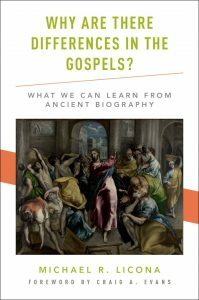 We have to dig deep to find something nice to say about Michael R. Licona’s new book, Why Are There Differences in the Gospels? Perhaps the best thing I can come up with is that he didn’t insert the word apparent to soften the blow. Other apologists will tell us why we needn’t worry about “apparent differences” or “seeming contradictions.” Not Licona. He acknowledges the differences and says he wants to find out how they got there. How is this to be explained? Should these discrepancies be regarded as errors? Were the Gospel writers poor historians? Have they told the truth about Jesus? Such is the strange and mysterious world of NT scholarship. How can we explain these bizarre questions? I’m still catching up with all things Vridar after having been on the road for awhile. Unfortunately, I wasn’t able to answer a certain “dbg” who seemed quite unhappy with my post on scholarly consensus. I’m happy to see that Neil engaged with him and for the most part said the same things I would have said. We still have no confirmation that Mr. dbg was in fact David B. Gowler himself. Indeed it is possible, given his habit of referring to Gowler in the third person, that the commenter is merely a fan who happens to have the same intials, and who happened to commandeer Dr. Gowler’s email address for a brief period. Neil tried to get dbg to “confess” his identity without success. So the mystery remains unsolved. What Are They Saying about the Historical Jesus? I’m sorry, but expressing appreciation for Jesus’ “message of justice, love, and peace” is not the same as “personal faith in Christ” (including the pre/post East[er] Jesus distinction). The same thing could be said about Gandhi, or Dr. King, or a host of other people. I think the book (Gowler’s) clearly was written from a historian’s perspective, not a faith perspective. Yes, Gowler’s book was not written from a confessional perspective. I normally shy away from such books, since they’re entirely useless to me. However, if Mr. dbg had read more closely he would have known that I was talking about people who believe in Christ as their savior and who simultaneously endeavor to write scholarly works from an academic, historical, nonpartisan perspective. In my first two years of college, I wandered from major to major — theatre, undecided, political science. One muggy day in the summer of 1979, I realized I was going nowhere. I was working in Columbus, Ohio, for a guy whose business model had something to do with selling frozen meat door to door. My meals consisted mainly of bread, peanut butter, and orange soda (or “pop”). I was flat broke, with no options. So I decided to join the U.S. Air Force, following in my dad’s footsteps. To make a long story short, my language aptitude scores landed me in Russian language school at Monterey, then on to an overseas assignment. The job was interesting, and living in Berlin was a great experience, but I knew from the outset I was going to stay in only for the minimum four-years stint, and then head back to school. This time I knew exactly which I degree I wanted to pursue: a bachelor of arts in journalism. At the University of Maryland, I bided my time, waiting for seats in the first upper-level journalism class to open up. In the intervening period, I took lots of history courses as electives. At last I found myself on the first day of my first journalism class. The professor greeted us all and then asked us to go around the room, give a short introduction, and say which kind of journalism we were focused on. Everybody except me and one other guy said, “Radio and Television.” We, the two dinosaurs, had indicated we were interested only in print journalism. At that very moment, I knew I couldn’t stay. Journalism was now a job for the shallow, pretty people. 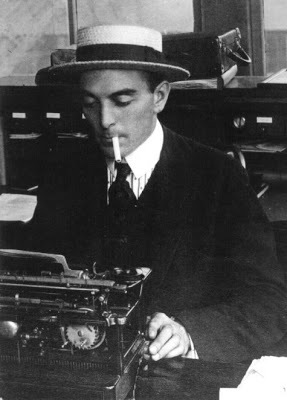 The beat reporter stabbing away at his typewriter with his index fingers trying to meet a deadline was a figment of my imagination, the ghost of a bygone era. I selected myself out of my chosen field of study. I dropped my classes, switched to history, and never looked back. Since that time, mainstream journalism has gotten much, much worse. Had I stayed, I alone couldn’t have changed anything. But together, the large numbers of people who took themselves out of the mix — who decided not to stick it out and try to stem the tide — might have. Or perhaps not. The power of self-selection often goes unnoticed. It’s a kind of opportunity cost. What would have happened if such-and-such had not happened? Who gives up? What sorts of people remain? Do they represent a broad section of society, or have the pressures of the system ensured that only certain people who think “the right way” have a voice?